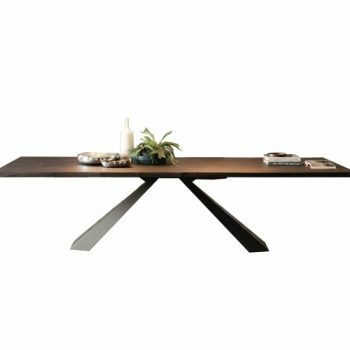 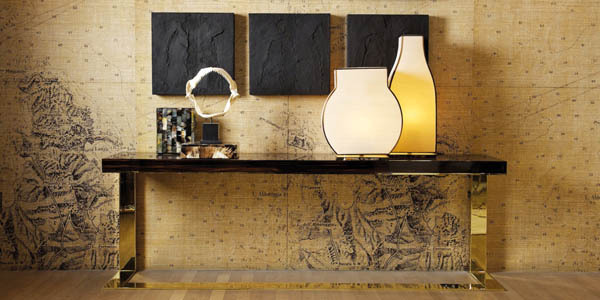 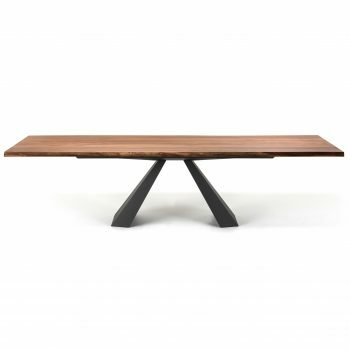 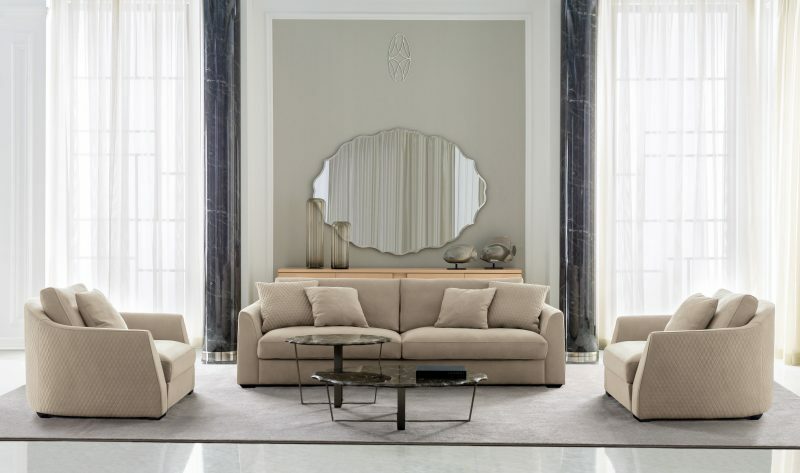 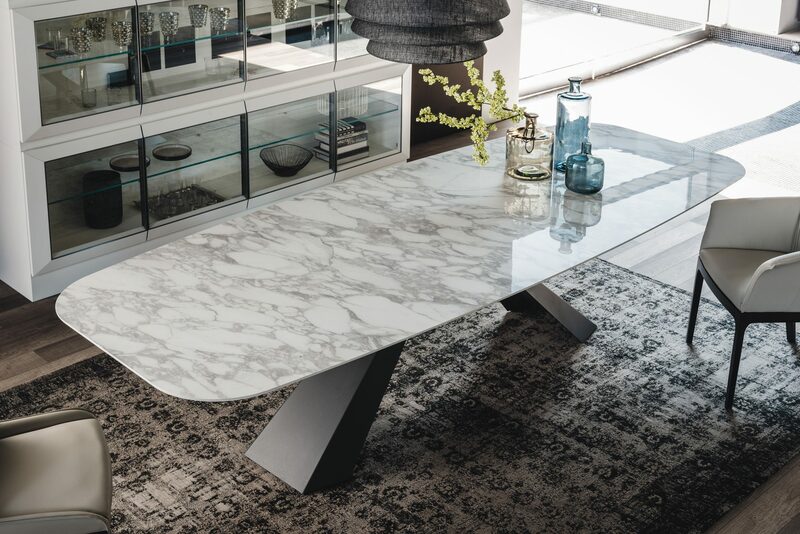 Stunning modern dining table designed by Giorgio Cattelan for Cattelan Italia. 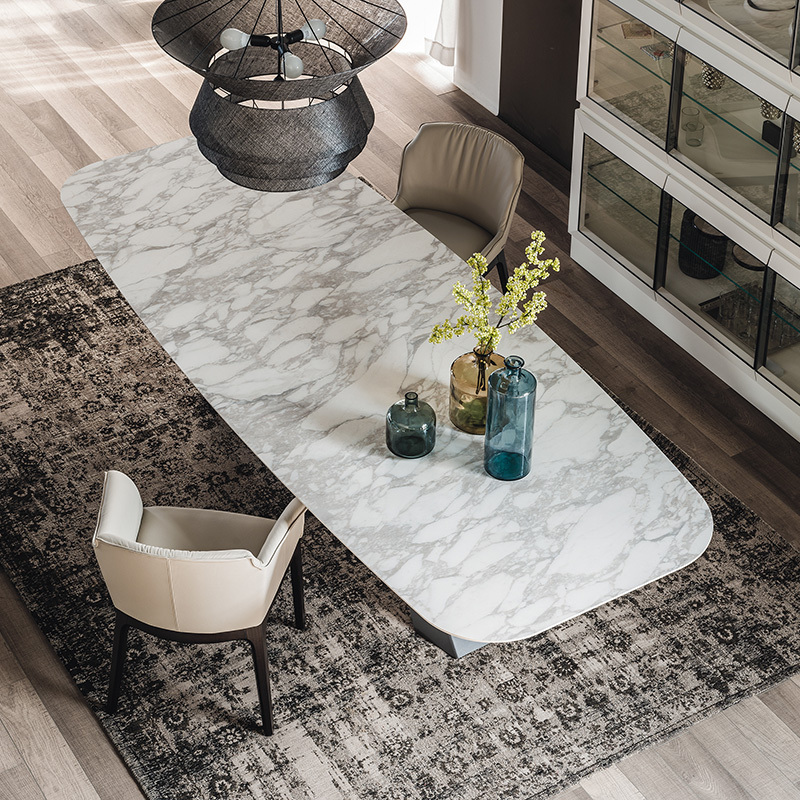 Stunning modern dining table designed by Giorgio Cattelan for Cattelan Italia. 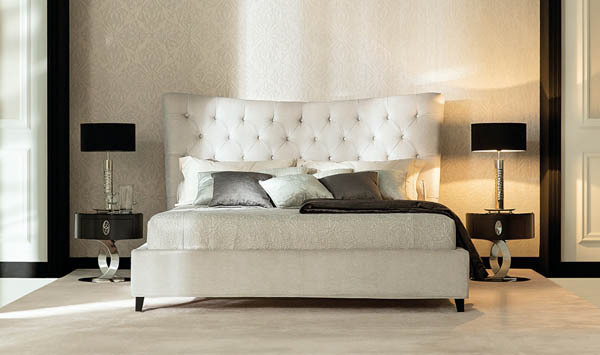 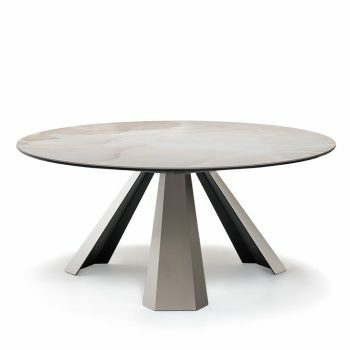 This unique design features an eye-catching base crafted from embossed lacquered steel paired with Cattelanâ€™s signature ceramic table top. 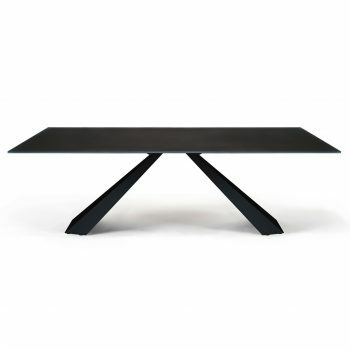 Table with base in white, black or graphite embossed lacquered steel. 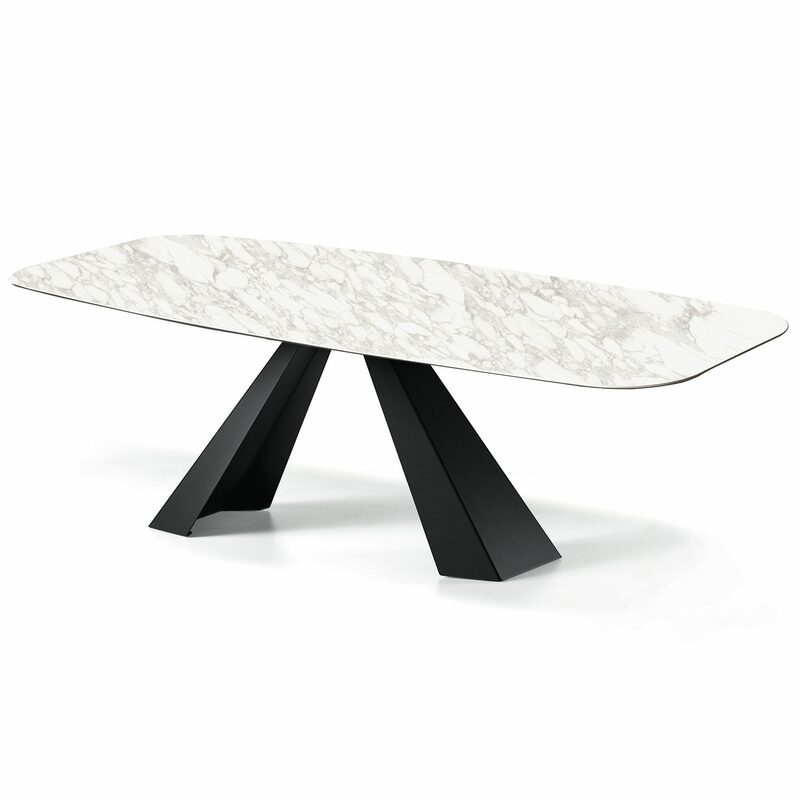 Marmi in glossy Calacatta, glossy Alabastro or matt Ardesia ceramic shaped top.